A Wedgwood plate moulded with a sunflower design. This piece has impressed marks ‘WEDGWOOD’ and two separate ‘F’s. It dates from c.1870. Wedgwood used this moulded form of plate in many different colour combinations and glazes. They were made as dessert services. 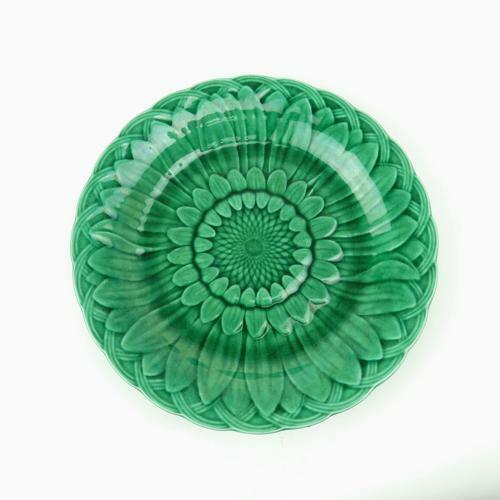 This example is covered in a green majolica glaze. This became very popular in the 1870’s and was produced in vast quantities. It is in excellent condition.